Trust has been a key theme running throughout this series of Luther (BBC 2010- ). These issues have been framed most explicitly through the generic conventions of romance fiction and the emerging relationship between DCI John Luther (Idris Elba) and Mary Day (Sienna Guillory) as Mary has been forced to question Luther’s suitability as a partner. Questions of trust have also been raised in different ways throughout series three: the internal investigation narrative, where DSU George Stark (David O’Hara) and DCI Erin Grey (Nikki Amuka-Bird) have ruthlessly pursued Luther over his methods, restages queries that have been raised in previous series concerning whether Luther’s means are justifiable despite achieving results. On a wider scale, episodes 3.3 and 3.4 have asked viewers to question the capabilities of the UK’s present Criminal Justice system. Tom Marwood’s (Elliot Cowan) motivation for his vigilante killings of ‘deserving’ victims such as hooded attackers and known paedophiles is that his wife was let down by this system (she was killed by an early-release prisoner who had been classified as low-risk by the Probation Service). Even as episode 3.4 develops, and our perception of Marwood shifts from ‘avenging angel’ to ‘desperate killer’ as his vendettas become more personal, first towards Luther and then accessing his wife’s killer, questions remain as to the whether his actions are in some capacity ‘right’; the approval raised by ancillary characters for Marwood’s killings at multiple points in the previous episode certainly suggests some level of public support for his actions and so questions the adequacy of contemporary legislation. These questions of trust that Luther raises arguably permit the programme to be discussed in terms of ‘quality’ television. This is because prominent TV Studies scholar Robin Nelson writes in his book State of Play (2007) that ‘quality’ television dramas are those that generate feelings of ‘ontological insecurity’ for viewers. ‘Ontological insecurity’, as a concept, is adapted from sociologist Anthony Giddens’ (1991) ideas concerning how issues of trust have been redefined within our modern globalised society. To manage the uncertainties that arise from the dispersed nature of how people, money and/or information flows around the world, Giddens argues that people gain a sense of (‘ontological’) security about the capabilities of the world they inhabit through either integrating new information into established frameworks of meaning or, alternatively, adapting their understanding of the world. Returning these ideas to the discussion of Luther and ‘quality’ television, Nelson argues that most TV dramas, especially those on a ‘mainstream’ broadcaster such as BBC One, provide viewers with ‘ontological security’ through reaffirming commonly-held beliefs about the world. In the case of the crime drama series, such feelings would be achieved by reassuring audiences about the capabilities of the police to protect innocent citizens and catch criminals lawfully. ‘Quality’ police dramas would, by contrast, move away from these positions: criminals might evade capture, dubious policing methods may be employed, and issues concerning what is morally and ethically ‘right’ or loopholes in the law may become foregrounded. From this perspective, it should be obvious that Luther frequently moves towards generating ‘ontological insecurity’ because, despite criminals always being caught, a number of questions remain unanswered about the overall security of the programme’s narrative world. Returning to points raised in my previous blog post, Luther’s frequent defamiliarisation of ‘everyday’ locations is indicative of one strategy used by the series to generate feelings of ontological insecurity as potentially anyone can be a victim of violent crime at any moment. Moreover, the perpetrators look just like you and me. This means that Luther’s entire narrative world doesn’t provide reassurance. Instead, the programme suggests that things could kick off at any moment. Just look at what happens to DS Justin Ripley (Warren Brown) for further evidence of this. What’s more, though, Luther raises questions concerning policing methods. Yes, Luther is firmly rooted in the long-standing generic convention of the police crime series that necessitates that its central character is a ‘maverick’ who bends the law to his will to achieve results. John Luther is certainly this as he dangles suspects over the side of high-rise buildings and uses victims of crime to attempt to change the stakes of a case (see the appearance of Kiera Mills (Michelle Duncan) in episode 3.3). However, as a scene between the deliciously psychotic Alice Morgan (Ruth Wilson) and Luther’s superiors in last night’s episode indicated, the lines between ‘right’ and ‘wrong’ mobilisations of the law, and ‘innocence’ and ‘guilt’, are frequently blurred in the world of Luther. As the episode ultimately demonstrates known killers can be employed to help catch other criminals and then evade prosecution for their own crimes. In multiple ways, then, Luther offers viewers little security about the world they inhabit and the forces that are in place to protect us in our day-to-day lives. However, as I teach undergraduate students on my ‘Debating ‘Quality’ Television’ module, the method used here for making Luther’s case as a ‘quality’ drama series needs further refinement and reflection. This is because asking questions such as ‘is <Programme X> ‘quality’ television? If so, for what reasons?’ equates to a limited understanding of how and why certain TV shows are valued (or, conversely, devalued). Instead, it needs to be recognised that the criteria that I’ve used above for discussing Luther are those that a specific group of people (or interpretive community) – in this case, media scholars – have used for reading and celebrating certain programmes. This should not be taken as constituting an ‘anything goes’ attitude towards assessments of ‘quality’ TV where programmes can be valued according to purely ‘personal taste’. As Pierre Bourdieu’s (1984) work on distinction tells us, tastes are always socially-structured and arise out of the set of socio-historical circumstances (or ‘habitus’) into which we are born. Instead, we need to think about and examine the interpretive contexts where claims to ‘quality’ programming are made or denied. Luther, for example, is strongly positioned for interpretation as ‘quality’ TV in the UK by a range of publicity material. Early announcements of the third series mobilised ‘artistic’ discourses of the individually-formed work to generate expectations for the series. These assertions were then supported in press interviews and publicity for Luther’s third series as concepts such as creative freedom – a key set of ideas also drawn upon by producers of TV drama for premium-rate subscription services like HBO – have also been employed. Whilst these interviews construct Elba’s star-image as a down-to-earth working actor, they also suggest that, unlike other TV dramas that return year-on-year in familiar seasons, Luther is something different and is therefore distinct and ‘valuable’. This point is further reinforced if the frequency with which Luther is discussed in relation to cinema – whether this be the programme’s muted movements to the silver screen or Elba’s (and Wilson’s) Hollywood associations – work to suggest the series is not everyday television. Assessing Luther in this manner is arguably crucial as it allows us to consider how programmes are constructed as ‘quality’ at different moments and in different contexts (e.g. in official publicity, press interviews, by media academics) rather than simply containing attributes that make them unobjectionably ‘quality’. 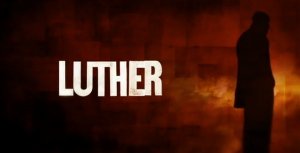 It’ll therefore be interesting, should Luther make the transition to cinema from television, to consider how it is positioned, publicised and received in this context and how its TV lineage is handled.